Adding a stunning touch of color is as easy as 1, 2, 3. From the driver side, simply slide in the red insert trim to the 2nd beam until it clicks in. Repeat this step on the 3rd and 4th beam with the blue and light blue grille insert trims respectively. 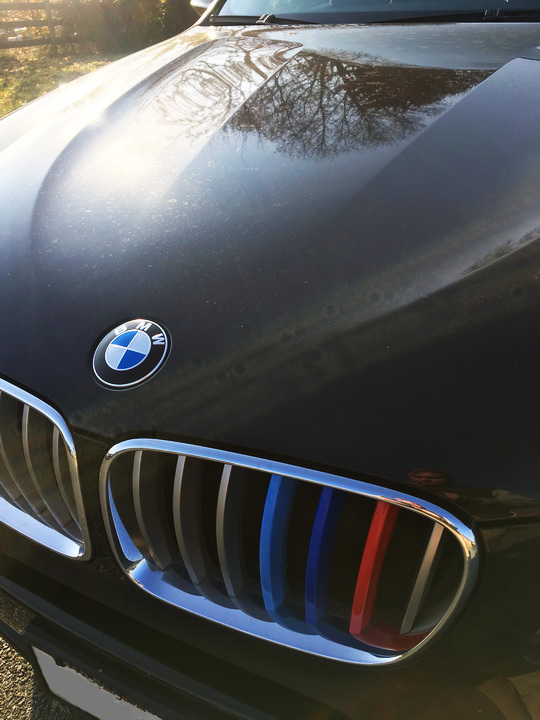 The result is an incredible accent on your BMW’s grille that shows your love for Bimmer performance. We couldn’t agree more Greg! Because we have M-colored grille accent inserts for so many BMW models, we had to categorize them to make the search easy for you. If you follow our BMW accessories page you’ll at the top several different BMW models labeled by series. 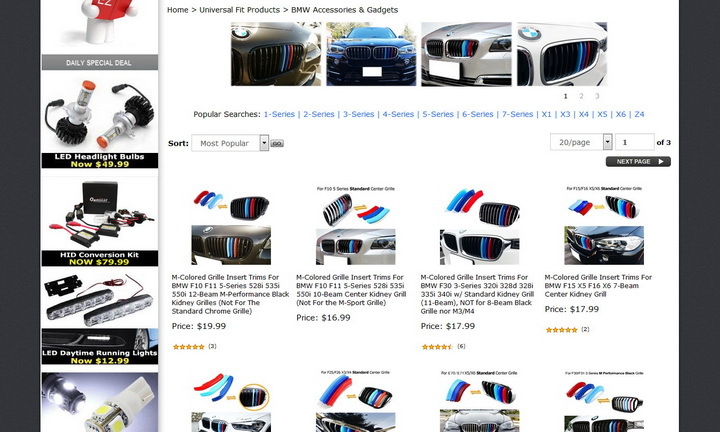 So if you want to get grille insert trims for your 3 series, click on that link. From there it’s a simple matter of finding the correct year and number of kidney grille beams. 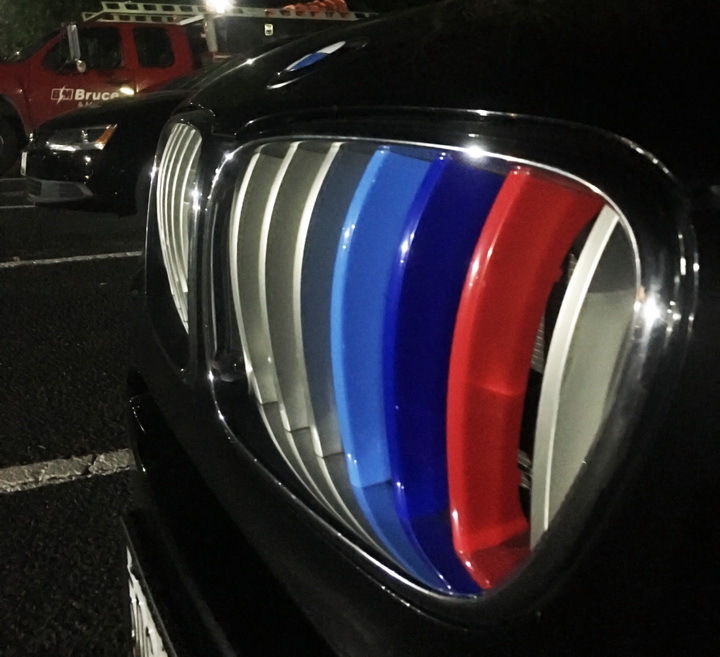 Greg successfully found the right set of M-color grille inserts for his 2013 BMW X3 and now able to put his pride for his BMW on display. Thank you so much Greg for letting us help you give your BMW that special touch! 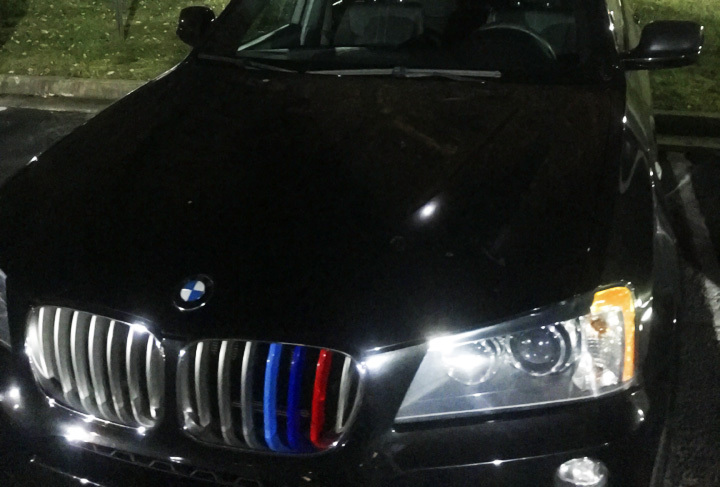 This entry was posted in - Tech Support & DIY Guide, BMW and tagged 2013, 7-beam, accent trims, aftermarket, bimmer, blue, BMW, bmw m, car accessories, euro, european cars, grille insert trims, iJDMTOY, light blue, M, M Performance, m-color, red, x3 by Jason T. Bookmark the permalink.